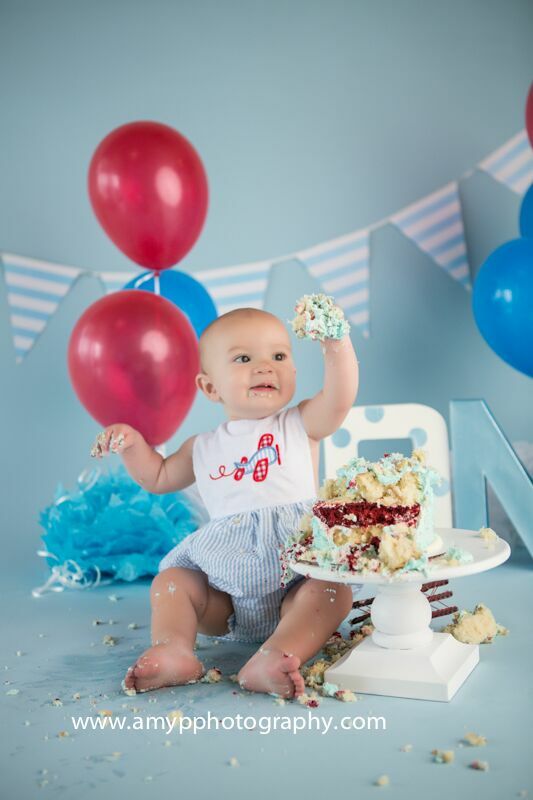 Celebrate that special birthday with a Smash Cake Mini Session! A smash cake is a great way to memorialize your baby’s birthday. With this mini session, you never know what you are going to get. Your little one may dig in or barely touch it… regardless their reaction, you will to capture that expression on their face. 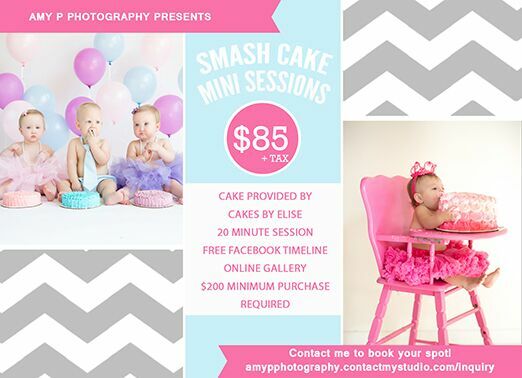 Here is our smashcake mini session info. We use Cakes by Elise for all of our cakes! She makes beautiful cakes. Not only do they look incredible but they taste amazing as well! Your child will love eating and playing in their cake. For the latest in what's happening, sign up for our monthly newsletter!